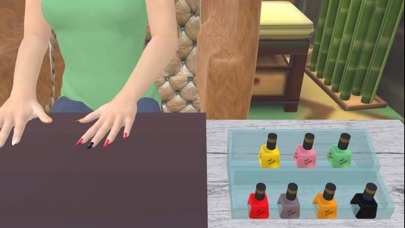 Do you like playing Nail Salon Games? Our newest 3D Nail Game will let you choose amazing fashion makeover, nail art designs & hand spa techniques. 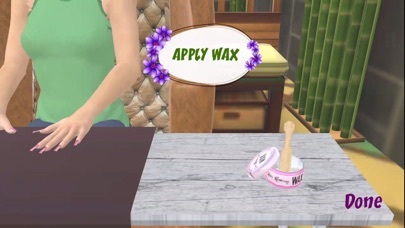 Play most exciting girls manicure game & spend fun time by creating different combinations of fingernail designs in step by step girls spa games. Look beautiful & stunning in nail art makeup factory salon. If you are bored by silly hair salon games, be ready to discover trending nail art designs & hand scrubbing techniques in fashion girl manicure game. It’s the first ever 3d spa salon game in which you can have perfect manicure & stylish nails art makeover. There are number of fancy nail polishes, decals, stickers, scrubs & creams to give your hands stunning looks in girls spa games. Features: Decorate your fingernails with decals, glitters, stickers & patterns. Mani-pedi spa salon adventure for hand wash, moisturizer, waxing & hand scrub. Choose different skin color before applying light & dark nail polish shades. Grab cutest accessories like rings, bracelets & bangles. Unlock new girls makeup factory tasks every day. Free nail salon makeover to test your nail artist skills. Amazing user-friendly nail salon interface. 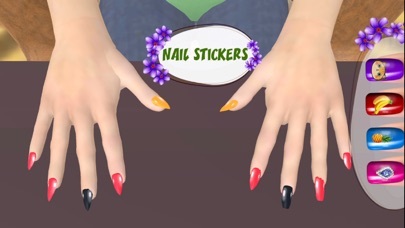 Download 3D Nail Spa Game & give us feedback so that we can make more fun games for you in 3D & 2D.